Service Excellence Consulting has partnerships with many different companies all providing services within the WHS space. Pick and choose what services you need as well as implement the whole package! Rather than engaging many companies to help you, go through the model and you have several companies at your service who will work together to provide you the best quality service. Management underpins the other 4 areas of safety - sites, people, incidents and activities. With our partners, we are able to provide a service that encompasses all of these areas. Pick and choose what elements of safety you need in your business and we'll work with our partners to provide you the best service possible. What safety risks are there in your job? Those of your employees? Are those risks being sufficiently managed? Sometimes safety takes a backseat in businesses but it is an important part of how a business should operate. 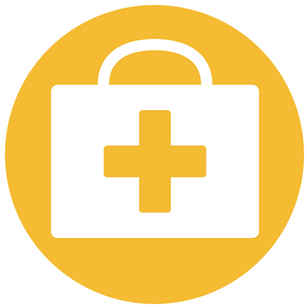 Work Health and Safety covers a range of areas and is applicable to all industries. If safety hasn't been on your organisation's radar and that needs to change, our trained and experienced WHS professionals can help build or improve your safety management systems. We start by identifying the risk and hazards in your business and review the controls and documentation you may already have. We then seek to minimise on a practical level the most significant risks. This could include signage, training, communication, work methods, updated equipment etc. Then we develop your documentation to reflect how safety is really managed in your business. At all times we work closely with your people to ensure their engagement and awareness. If you'd like to find out how we can assist you in any of these areas, contact us below.